To celebrate Black Friday weekend, some members of our Toronto ERA team decided to set sail for a new destination. This time our adventures took us into Columbus… the heart of Ohio! With each new city we visit we’re curious what we’ll see, what we’ll learn, and what the escape room community is like. Our second stop was Escape IT Grandview, another new offering to the Columbus region and the escape room industry as a whole. 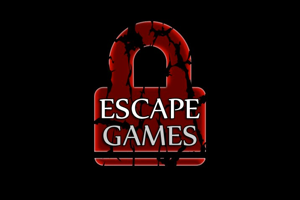 The owner of Escape IT Grandview decided to try his hand at escape room design after many years of working in the IT field (hence the company name). Heading into our second of two rooms (The Explorer’s Study), we were surprised to hear it wasn’t fully open to the public yet, and that we’d be play testing it because they weren’t confident it was as polished as The Speakeasy. Starting from first impressions, we were fairly worried. Escape IT Grandview’s location is adjacent to a restaurant with the main entrance recessed from the main road, so it’s hard to spot. Be sure to approach slowly if you don’t want to pass it by. Those who have mobility issues should be advised you’ll need to use stairs to access the lower level of the building. As we entered the office space which doubles as a control room and lobby, we continued to notice a bunch of little things missing like refreshments, snacks, thematic company branding, etc, etc, etc. What was interesting heading into The Explorer’s Study was that we already knew how impressive The Speakeasy was, and therefore we just assumed this next room was going to be impressive also. The owner continued to caution us that we shouldn’t get our expectations up because he wasn’t fully happy with it, which is why he wanted our feedback before he publicly opens it. So was the same “Wow!” factor there when we walked in? For the most part yes. Again, we had been duped into thinking the room might show signs of the exterior presentation, but it didn’t. It was really good. Was it as initially impressive as Speakeasy? No, but it was pretty darn close. The quality level of room design, props, and space use was once again evident at first glance and also with closer inspection. The slight difference between The Explorer’s Study and their first room was a little less design on the walls, floor, and ceiling, but it was still impressive none the less. The immersion was also a hit with our group. We enjoyed the soundtrack, the reminders of our mission, and the feeling of connectedness to the explorer’s travels. The theme was well presented throughout the experience, and again there was nothing that took our minds or attention out of the scenario which is the sign of a great immersive adventure. The room could have used a bit more story development throughout, but overall it was enjoyable. The most impressive part of The Explorer’s Study came from the puzzles. Multiple puzzle paths, variety of puzzle styles, and a unique “Adventure Progression Score” that we’ve never seen implemented before. Don’t be fooled by the seemingly simple design of this room, there’s a lot of puzzles and tasks that need to get done in time to escape. Our group of four needed to be on our toes at all times to get things accomplished. There’s also a lot of “figuring out” that will make puzzle enthusiasts happy if they’re feeling the effect of too many ‘tasks’ instead of ‘puzzles’ in most of the rooms they’re seeing nowadays. Ok so why hasn’t this room released to the public? Does it lack in fun? No. Does it lack in puzzles, design, or immersion? Nope. So what’s happening here… We figured it out as our team debriefed later on that day. The owner is a true enthusiast at heart and wants it to be up to his level of excellence before letting people play. Is that a bad thing? Not at all! It shows how modest, hardworking, and thorough he’s been in making sure everyone gets the best escape room experience they’re paying for! The only problem here is the room is pretty awesome as it stands right now. Explorer’s Study is a bit more challenging than Speakeasy, so you’ll want a few more “experienced enthusiasts” on the team, but everything was fairly inclusive which should allow most people to enjoy the experience. 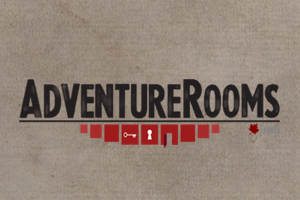 If this room isn’t on your must try list, it definitely should be… especially for puzzle enthusiasts.